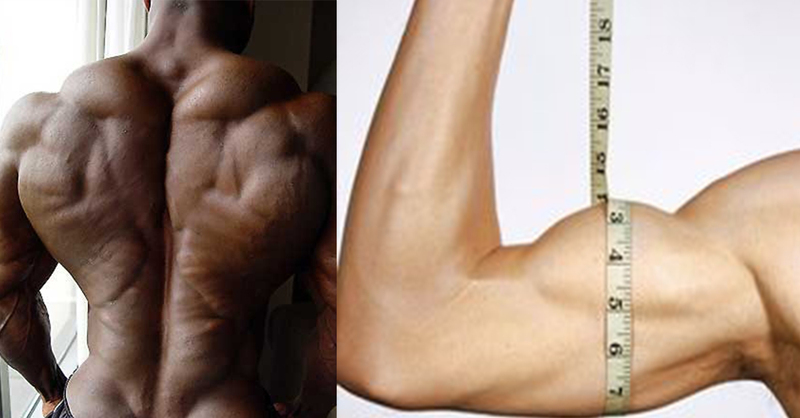 Many naturally skinny guys have weak biceps and small arms from this lack of a functional foundation. The stronger your back muscles are the more your opposing muscle groups can fully develop. If you have a weak back it will be nearly impossible to reach your full arm growth potential. Take for instance your chest and bicep muscles that are the opposing muscle groups to your back. Having a really strong and fully developed back will help you press more weight on the bench and curl more weight with your biceps as your body works in symmetry to opposing muscle groups and this will elevate your functional strength a great deal. This is why one of Arnold’s favorite workouts from his bodybuilding prime was the classic “push and pull” workout. This helps put an equal emphasis and equal amounts of strength on your back and chest muscles, which creates a powerful and impressive physique. There are actually four main groups of muscles in your back – and it is crucial that you develop all four components. Just as extremely impressive shoulder muscles involve working all 3 deltoid heads – you need to make sure you are performing a wide array of back exercises that focus on building each section of your back. The four components to your back muscles are the trapezius, rhomboids, latissimus dorsi, and erector spinae.